A Beautiful Family Home in the Endearing Community of Penryn. The minute you walk through the front door you are treated with a bright, open living space featuring high ceilings and lots of windows. The den/bonus room is ideal for family game nights or kids retreat. The Master suite is beautiful, spacious and bright with a large walk in closet in the bathroom. Outdoor access to the Master offers a great spot for a hot tub! The huge backyard has 2 storage sheds, plenty of room for a pool, garden and Big Toys, with RV access possible. ** Enjoy the money saving, energy efficient upgrades of(Owned)Solar Panels, tank-less water heater, on demand hot water and whole house fan. 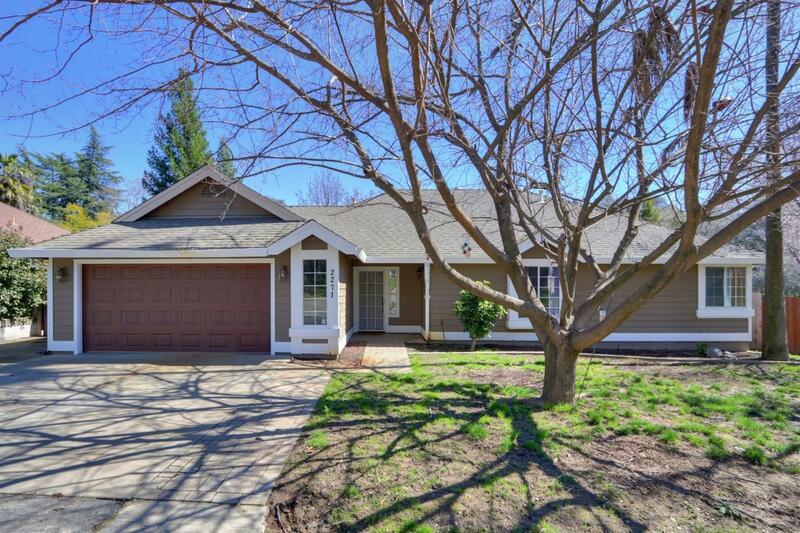 In addition to easy freeway access and the feel of country living, this wonderful home is located in the outstanding Loomis Union School District for K-8 and Del Oro High School...Go Eagles!